Add the butter into flour amended with sugar and salt and mix it using your finger tips. When it starts to look like large crumbs, add 1 tablespoon of water and make a dough. Place it in a refrigerator for a while. Roll dough to fit the pie plate. Preheat the oven to 420º F (210 C) and bake the pie crust for about 8 minutes. 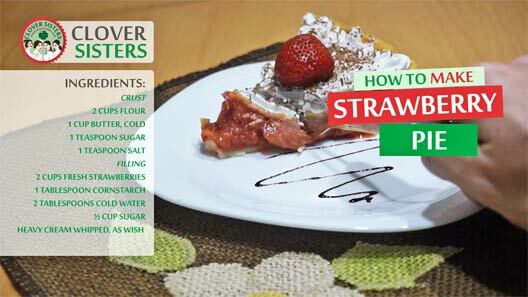 Smash half of the strawberries, add sugar and cornstarch dissolved in water. Stir over the heat until thickens, it will not take long. 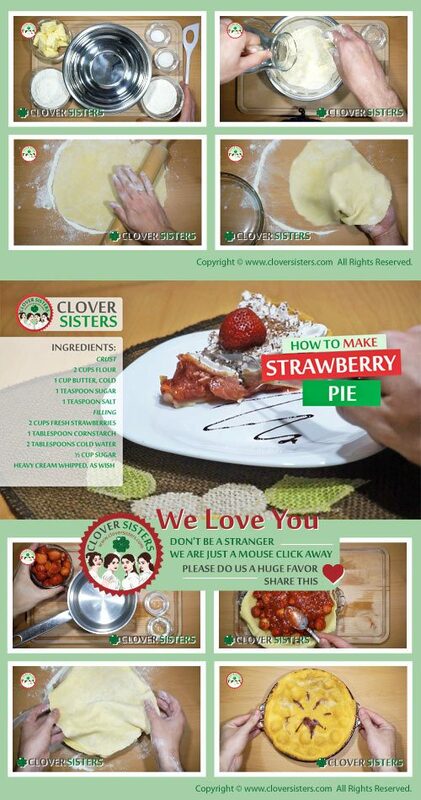 Arrange the other half of the strawberries around the crust and pure syrup over it. Serve with cream after pie is completely cooled.